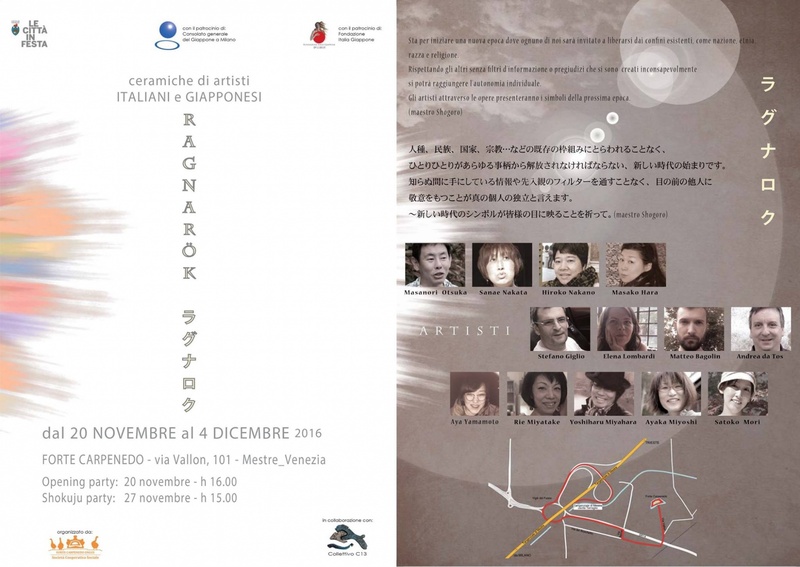 From November 19 to December 4 Forte Carpenedo will host the ceramic exhibition Ragnarǫk ラグナロク organized by Collettivo C13 association, sponsored by Japan's consulate in Milan and Italy Japan Foundation. An exhibition that through the works created by Italian and Japanese artists wants to comunicate a cause for reflection on what men are able to do, right and wrong. “Ragnarǫk” a word that has traveled through time,which originates in the Icelandic mythology, only to be rediscovered by Richard Wagner in The Song of the Nibelungs. A mythology got to the East, perhaps even through the Hindu religion (described in the Mahābhārata), now entered in the japanese Culture as ラグナロク. Elena Lombardi, Stefano Giglio, Matteo Bagolin, Andrea Da Tos.